I don’t know about you but these days, a lavish bath has become quite a luxury to me. Luxe baths allow me to de-stress like no other, giving me a much deserved and uninterrupted 7-8 hours of sleep. 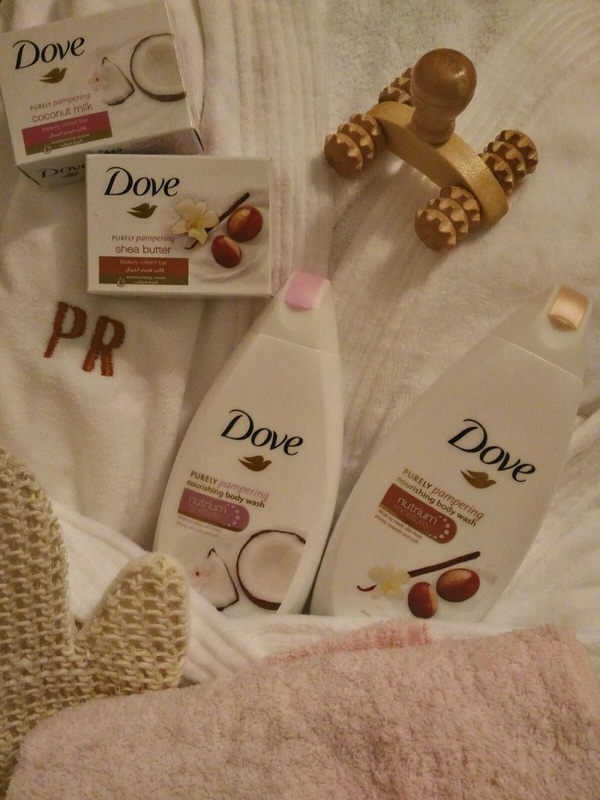 When it comes to affordable and readily available “me time”, no one does it quite as much as Dove’s latest range aptly called Purely Pampering. 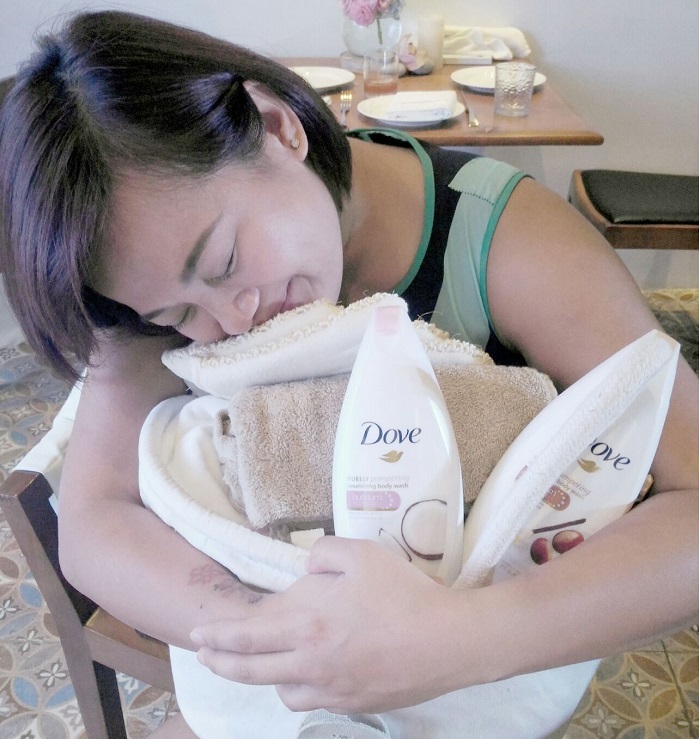 Dove invites women to indulge in one of the most relaxing forms of “Me Time” – the shower – by creating the perfect treat so they can unwind and relax after a long day. 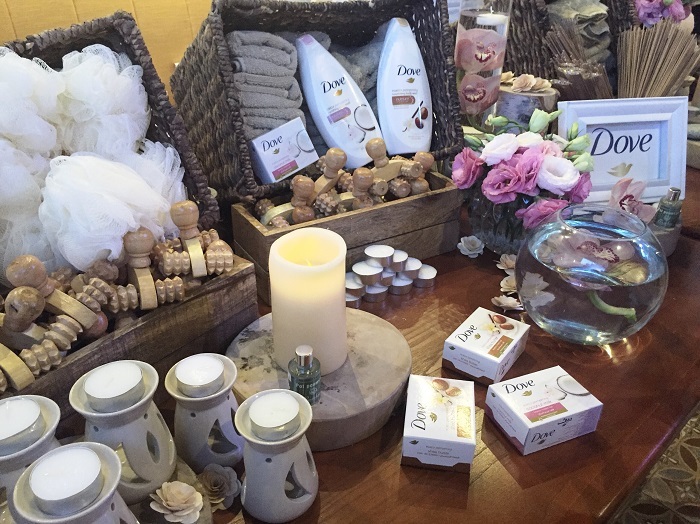 Introducing the Dove PURELY Pampering range, a delicious new line of moisturizing body washes and bars. Its rich formula combines Dove’s unique NutriumMoistureTM technology with a blend of wholesome, skin-loving ingredients that envelope and moisturize skin with a full bodied lather and lovely scents, leaving you and your skin feeling balanced and renewed. There are 2 indulgent combinations from the Purely Pampering line: rich and creamy Shea Butter + Warm Vanilla, for a deep and earthy aroma, or relax your senses with a touch of freshness with luscious Coconut + Jasmine. Between the two, the wahine in me’s naturally more drawn to the Coconut + Jasmine variant. The Shea Butter + Warm Vanilla variant’s equally lush especially when prepping for a sea of silk beddings. Mmmmm.